This Friday and Saturday nights, the forty fourth Super Sedan Grand Prix will be held at the Gulf Western and Independent Oils Raceway Latrobe, with a great field entered for the two night event. Two times National Champion Callum Harper, will face his toughest test since the National Title, with 26 drivers entered. Defending Champion, Matty Pascoe has been in fine form again this season, winning his third feature race of the season last Saturday night. Pascoe, a two times winner of the event (2018 & 2013), is sure to take it right up to Harper, who has won four Feature Races in a row. The field is incredibly strong with Peter Nicola, Mick Nicola and Lucas Roberts from Victoria entered, with the trio winning ten Victorian Titles between them. For the first time in many seasons, two West Australian drivers in Kemble and son Lee Aylett are set to compete. South Australians, Dave Gartner, Kym Jury and Ryan Alexander are all entered, with all three having won Feature Races this season, with Gartner recently winning his fifth South Australian Title, and fourth in a row. Champion, Darren Kane, along with Sean Black and Sam Roza, with all four likely to be highly prominent. Kane has won almost every event that there is to win in Speedway, this event is one event he is yet to win. 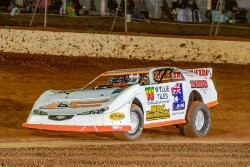 New South Wales will have Darren Anning, Darryl Moon and Andrew White competing, with Anning finishing second behind Pascoe last Saturday night at Lismore. The Tasmanian contingent includes David Nichols, who has won the Grand Prix twice in 1994 and 2015, will be strong, as will Steve Latham and Adam Beechey, with Corey Smith set to return as well, making this one event not to miss.